A court is set to decide on a row between operator T-Mobile and wi-fi phone firm Truphone. Truphone has accused T-Mobile of hindering its service by blocking calls made to numbers owned by the fledgling mobile operator. To rectify the situation, Truphone has applied for an injunction to force T-Mobile to put the calls through. In court documents T-Mobile said it had offered Truphone a deal to route its calls that had been rejected. By using the wi-fi and the net Truphone hopes to cut mobile call costs, particularly those made to long distance numbers. In papers filed to the court by T-Mobile, the operator said a deal had been done over handling calls but Truphone had rejected it. Truphone said it could not comment on the legal row while the case was ongoing. T-Mobile said it could not comment as it was in the middle of court proceedings. The case was first heard on 11 July and a final decision is expected on 16 July. 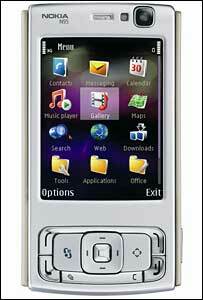 In early 2007, Truphone has had wrangles with mobile phone firms that blocked some features on the Nokia N95 phone. Blocking the features limited the use customers could make of Truphone's service.